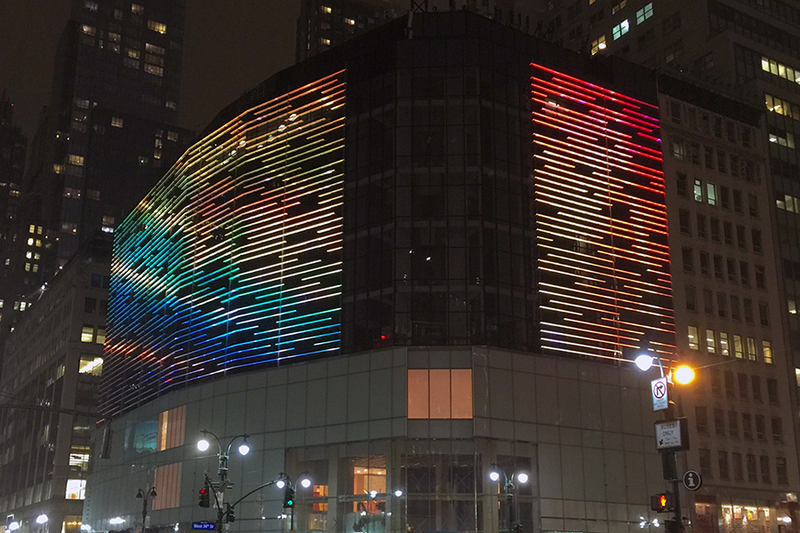 The tallest hotel building in the Western Hemisphere, 1717 Broadway intends to create a digital canvas for light art pieces on the skyline of Manhattan. 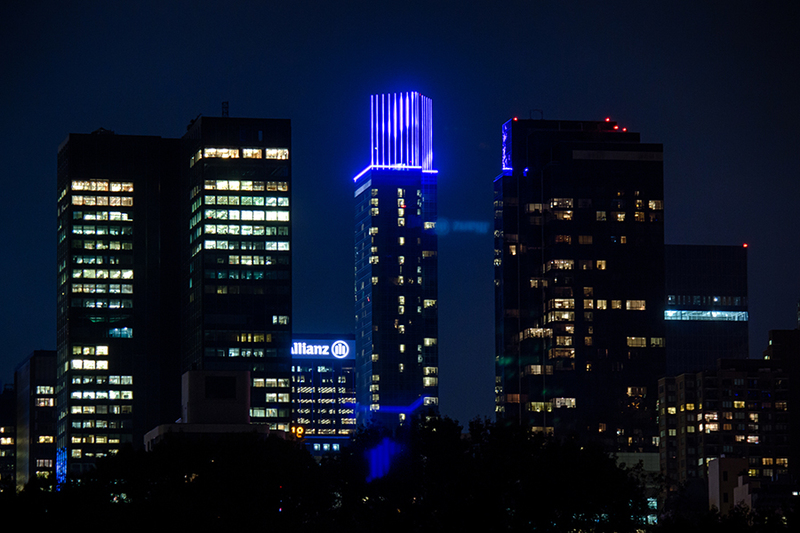 Its crown is distinguished through artistic lighting content, presented with LEDs in a single electric blue color. 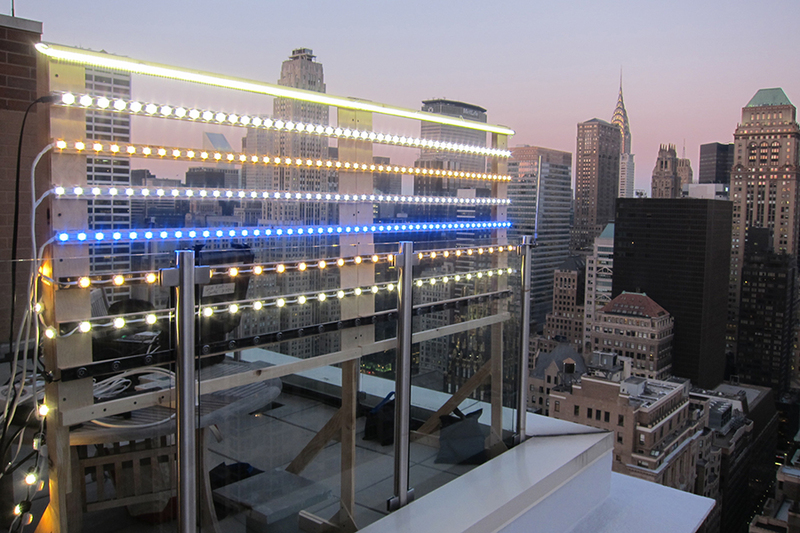 The challenge was to make the lighting memorable at each of the building’s primary views, ranging from two blocks to two miles away. Currently, NASA’s infrared satellite imagery of Earth’s changing weather patterns plays on the building’s crown. Extensive mock-ups, manufacturer research, and equipment customization led to an energy efficient exterior lighting solution.